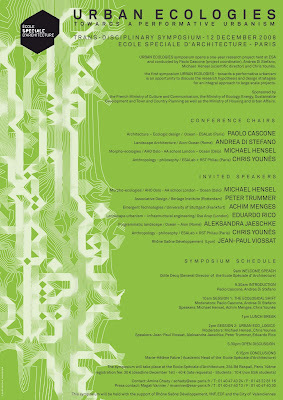 AALU design tutor Eduardo Rico will be giving a lecture within the Urban Ecologies Symposium held at the Ecole Speciale d'Architecture in Paris. 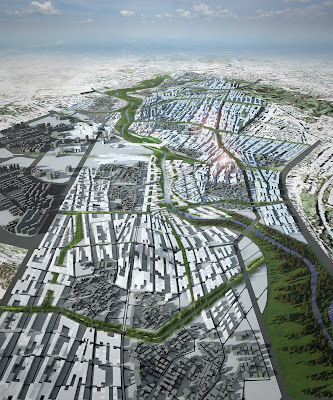 Eduardo will be outlining the design methodology behind Landscape Urbanism as well as another approach more linked to his role as infrastructural engineer within Arup. Both these two works are grounded on a critical engagement with social and material processes occuring in the territory, thus proving particularly relevant for the topic of urban ecologies. 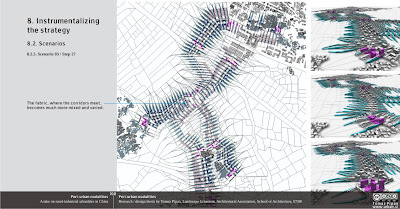 The project puts forward an urban strategy and a design proposal for an economical and social sustainable development of peri-urban areas in China. The lecture is followed by a discussion where the issues presented will be discussed in a greater detail. Given the multidisciplinary nature of Landscape Urbanism, this series correspondingly ranges across urbanism, landscape architecture, planning, geography, philosophy, cybernetics and social theory. It aims to explore the role of these disciplines in relation to the development, theorisation and practice of Landscape Urbanism. 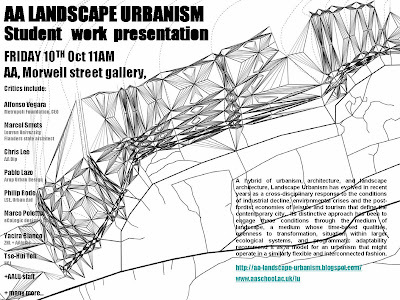 Specifically, this course will introduce and elaborate the paradigm under which Landscape Urbanism understands and employs the ‘Landscape’ component of its title. As opposed to presenting the discipline as a simple conjunction of its two terms therefore, the aim, particularly within the first term, is to elaborate the ways in which Landscape offers a processual, scalar and temporal medium through which the particular conditions of contemporary urbanism might be processed. Structurally the course aims toward a synergy with the programme of the design studio, since, in its first term, it addresses the models and methods employed by Landscape Urbanism alongside an historically and socially contextualised account of the conditions through which these have developed. In the second term contemporary urban conditions are addressed as the focus of the programme whilst the conditions and possibilities these pose for the practice of Landscape Urbanism are critically explored. Whilst the programme of term one is principally concerned with an introduction to the discipline and its methods, then, the second term has a more contemporary and geographically specific orientation intended to respond to the specific sites addressed within the design core and the development of each student’s own critical agenda. Students will be expected to work in groups for the seminar portion of the course.In the first term, the sessions will be largely given to lecture with minor input from student groups. In the second term, a greater role will be handed over to student group presentations. 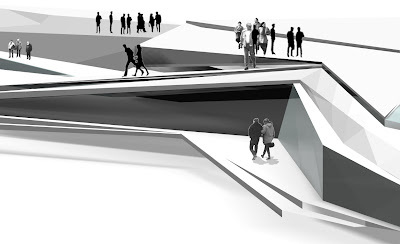 Deep Ground project designed by Groundlab Collective has moved forward to the next design stage. The main principles regarding architectural detail and strategic definition of the spatial qualities of the masterplan have been outlined so that they can be implemented in detail design stages. 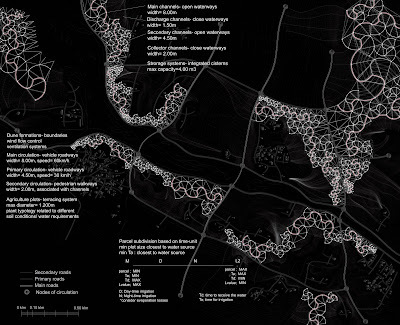 Angeliki Koliomichou (AA LU 2006/07) will present her project MA project 'Augmented Waterways' at the international conference on Water and Urban Development Paradigms in Leuven, Belgium. This international conference intends to bridge the gap between the disciplines of water management, ecology and the approaches of engineering, urban design and spatial planning. Sessions will develop a series of themes, discussing the historical relationship between water systems and human settlements, and related management problems regarding urban floods, water use and water sanitation. In each session, presentations are invited on problem definition, technical and design-based solutions, but also on boundary conditions of exogenous, political or economical nature. It is hoped that this interdisciplinary information exchange and communication will lead to discussion and will contribute to a better integration of approaches currently considered in the separate disciplines of water management, water engineering, spatial urban planning and design and aquatic ecology. Also aspects of meteorological, demographic, political, economical, and educational and life-style related nature will be considered in the analysis of solutions to current and emerging urban water problems. This on the longer term might lead to new paradigms in managing water in the urban environment. 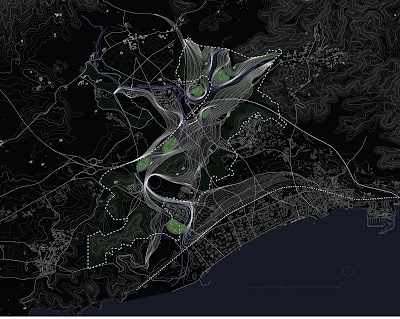 The work of Landscape Urbansim and Groundlab wuill be featured as part of the collective exhibition in the 5th Landscape Biennale in Barcelona. The work in progress of AALU students 0607 will be shown in the Architectural Association Projects Review exhibition until 28th of June. The research aims to raise consideration regarding the prevalent water politics in Oman and the implications that they have to the context and furthermore to the layout of the urban fabric.The research concerns the study of the existing water management and administrative issues and also the analysis of the local techniques in traditional irrigation systems in Oman. After a thoroughly investigation and comparing with other irrigation systems in deserted territories such as the iranian network of wells, a design proposal has been materialized. By responding to Sultan Qaboos’ s vision for producing a tourist spot in Oman capable of competing in the global economy the design perspective is twofold. Primarily it seeks to generate integrated systems that provide balanced water management provisions and simultaneously to suggest a diversification of activities which encompass luxurious villas associated with farm units as an alternative scenario for agri- tourism destination. 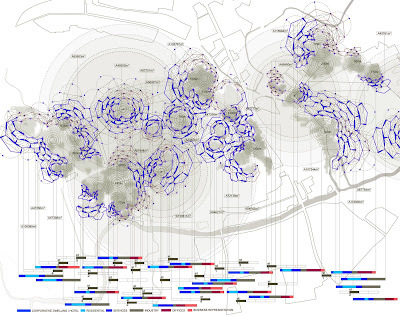 Eduardo Rico has given recently two talks on Landscape Urbanism in Greece. 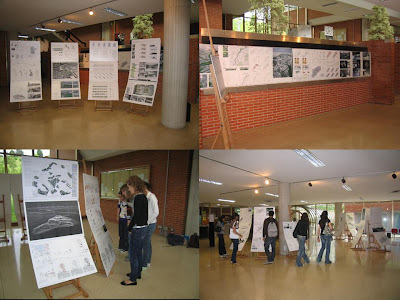 The events took place in the Architecture Faculty of the University of Crete, as well as the NTUA in Athens. The lecture ioncluded theoretical aspects about the disciplinary approach of LU as a discipline, as well as case studies of students work and the work developed by Groundlab for the Longgang development. 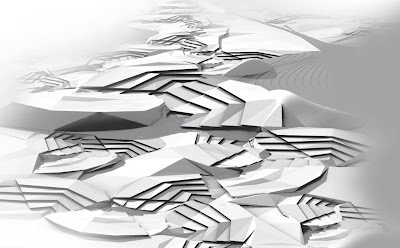 Jen-Hwang Ho and Fang Chun-Chieh, both 06/07 AALU graduates currently working at Zaha Hadid Architects, have recently won the 1st prize in an international landscape design competition in Taiwan. 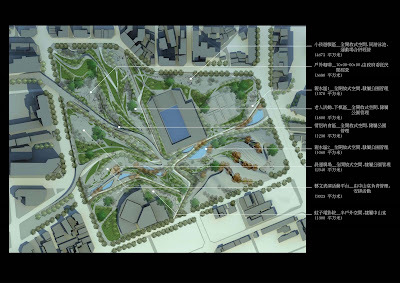 The project aims to re-arranging the landscape around the funeral parlous area, located in a block in Taichung city, mid of Taiwan.The adjacent Concert hall, Civil park and leisure areas with sport facilities such as swimming pool and tennis court make this block a very intense place but without a clear connection among them. 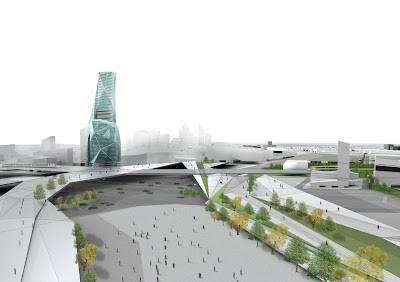 The project proposes to coordinate these varied functions, with a continuous surface that generates an unified urban landscape. 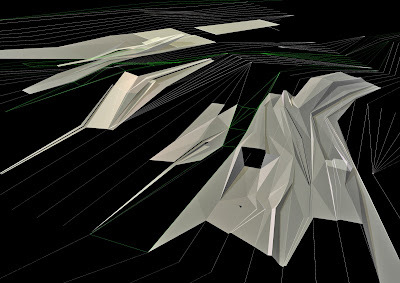 With series of different slopes and crest lines, the landscape is shaped to act as either the guilders of circulation or the veils of incompatible activities.The surface of tangency embodying a systematic geometry upon plurality of natural and landscape elements highlights the influx of surrounding gestures of the ground. Meanwhile, the releasing of the existing boundaries creates the seamless environment of urban moving style, fulfilling the awareness of citizenship. 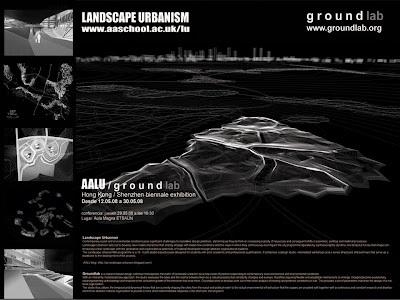 AALU/Groundlab exhibitions is open at the School of Architecture in the Universidad de Navarra. The show will open from 12.05.2006 to 29/05.2008 and features the research based work of Ma Course Landscape Urbanism altogether with the professional approach to city design by Groudlab collective. Landscape Urbanism exhibition shows a selection of the student production during the years 04-05 (based in Mexico City), 05-06 (based in Sri Lanka) and 06-07 (based in Dubai-Oman), as well as several competitions form Groundlab including the winning entry for Longgang city masterplan.A lecture will be closing the event on the 29 of may at the Aula magna ETSAUN. Architecture today is obsessed with icons. To be iconic or not to be, that is the question for more and more architects. But as we get accustomed of seeing our weekly starchitect masterpiece announced for Astana, Dubai or Taipeh, we wonder whether the contemporary architectural spectacle has a mission that goes beyond celebrating the egos of the client and the architect – what about program, place, politics? If it is true that the icon building is an inevitable condition for the possibility of architecture today – because it is seen as architecture’s unique selling proposition in our neoliberal economy – couldn’t architecture define a more active stance toward the icon, appropriating it rather than succumbing to it? While the icon so far mainly serves as a propaganda tool to affirm the self-image of power-hungry corporations and political dictatorships, it could in fact be cast as generator of social space – a performative environment of a democratic society, rather than a dubious monument of control. 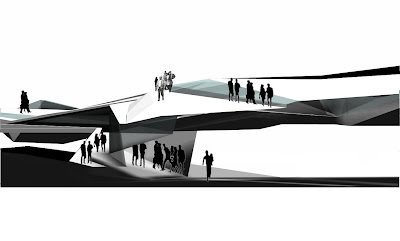 For this, however, it will be necessary for architects to apply the iconic no longer to the object, but to space. Public space, for a change. Landscape Urbanism students and Groundlab members finalised a one week intensive workshop in Sitges trying to come up with readings of the territory and new ways of re thinking the future of this coastal city in Catalonia. 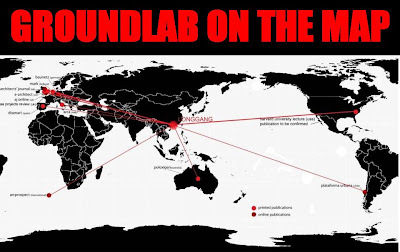 The event is part of a long term engagement of AALU + Groundlab with the Fundacion Metropoli, which fosters innovative research and cutting edge practice in urban design and planning. 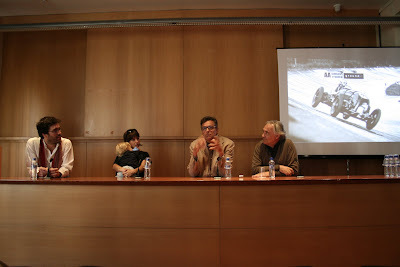 The work was presented and discussed with the Major of Sitges and other key decision makers during a final presentation. (images attached). A dozen architectural publications (both paper and online) have recently shown a growing interest for the work done by Groundlab in the recently awarded competition entry for the development of Longgagn City Centre Regeneration. 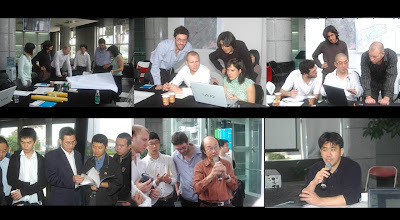 Members of Groundlag chaired a five day workshop organized in Longgang and Shenzhen with the objective of pushing forward the development of Deep Ground Masterplan into the next design stage. The event included different stakeholders and decision makers within the political landscape of Longgang, as well as academics form ShenZhen University and members of Groundlab and InGame. The design team conducted a series of talks and discussions around strategic issues regarding design and management of public space, design concepts such as thickened ground and relational urbanism as well as infrastructure constraints. 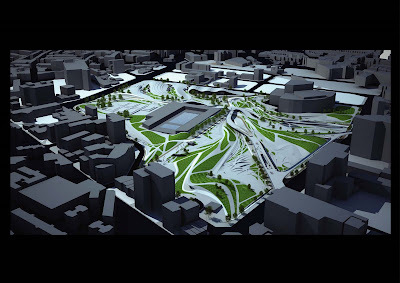 Deep Ground project designed by Groundlab Collective, has recently won the design competition for Longgang Centre and Longcheng Square international competition. The project deals with the regeneration of 11.8 Km2 of the urban fabric in the centre of Longgagn, north east of ShenZhen in the Pearl River Delta, with estimated population of 350,000 and 9,000,000 m2 of new development. 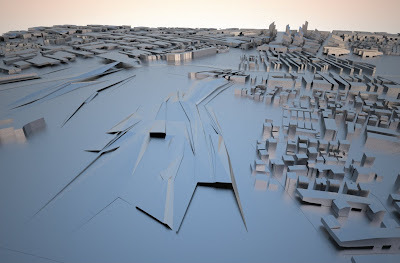 The design of the project is strongly based in the methodology currently proposed by Landscape Urbanism, ranging form spatial concepts such as thickened ground, bottom up approach to reading the territory and deployment a relational urban design models. Collaborators for the competition stage include Arup ILG providing input in the infrastructure and InGame as local office. The urban villages are a central part of Longgang district but also provide the site with certain characteristics and differentiation which will be the key for the success of the city as a whole. There is a set of urban villages which have been identified as potentially interesting to be preserved. This project proposes the use of these areas as part of a strategy for generation of various brands across the site. The purpose would be to facilitate as much as possible a similar process to the previously mentioned in the Dafan Oil Paining village effect. In order to do this, a research process should take place during later stages of development, which would include consultation and engagement with local communities to try to understand which are these potential themes or anchoring brands which would emerge out of the villages. 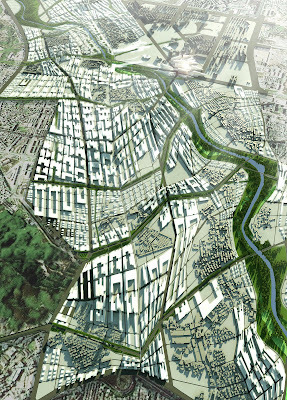 Longgang River is located at the heart of Longgang city but is radically separated from the it with no interaction or relation apart from being used as a back yard and wastewater sewer The infrastructural landscape project used this contradictory condition to propose the recovery of the river triggering the revitalization not just of banks and surrounded areas but of the whole city , driving the landscape strategy, greenery and river as one interactive and in­terconnected system. The infrastructure designed along the river will serve as an anchor point to deploy cleansing strategies, rainwater collection and flooding defence while creating green areas, ecological corridors, public open spaces, sports fields and leisure areas. 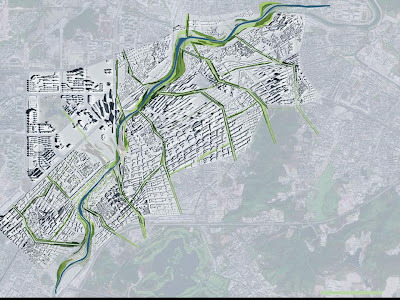 The landscape network creates a major frame­work to articulate the urban fabric, the public areas and the infrastructural equipment of the city and will be able to generate a great variety of programmes which do not exist or are in poor conditions, linking the river to the neighbourhoods and with the city. This in fact will generate ecology inside the city, highlight­ing the presence of the river in the city not just as an aesthetic element but as a strategic, active and vital for the present and future viability of the city. 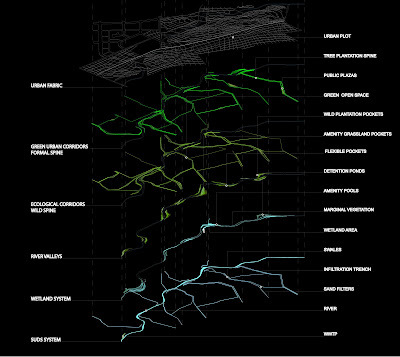 This concept describes the spatial strategy that Groundlab has used for the implementation of the underground development in conjunction with public space design and the river crossing. 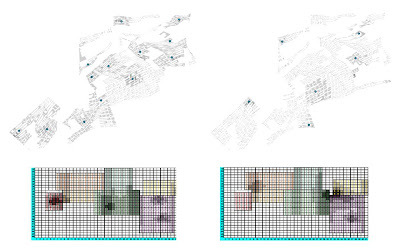 Central to the definition of the figure ground is an attempt to understand and design the space as a surface which acquires thickness and spatial complexity as the different programs and land uses start to combine. In this way, the thickened ground looks for mixture of programs rather than compartmentalization of functions, working towards and open ended spatial result which combines good quality open space with otherwise isolated infrastructural elements. For the case of this project, the thickened ground emerges out of the bridge over the Longgagn river, crossing north to LongCheng Square to then become a folded surface containing both public programme, underground access and parking for the CBD. The thickened ground becomes a whole strategy to challenge the traditional opposition building vs landscape, managing to introduce surprisingly high density and programme into areas which are currently under used, increasing the overall value, open space usage and intensity of life at street level.